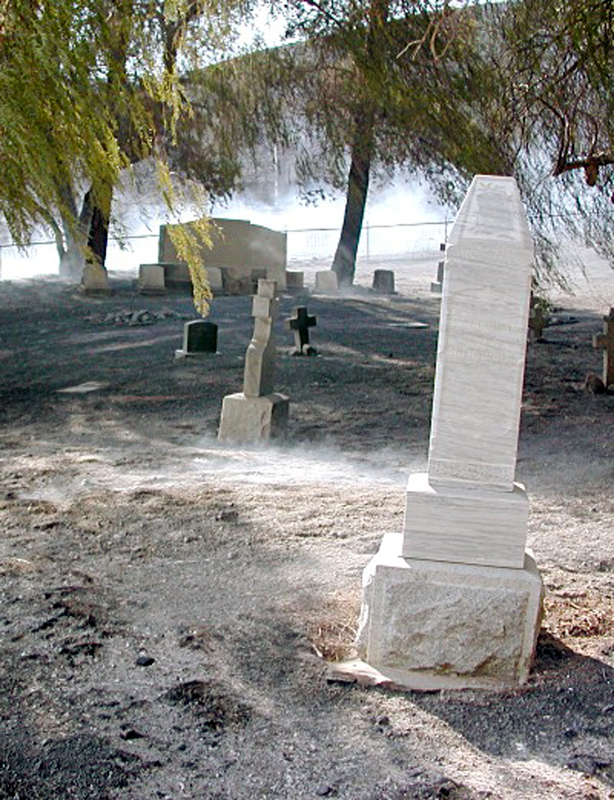 June 5, 2002 — Smoke cloaks the Ruiz Cemetery, which was denuded of vegitation (though the pepper trees survived) when the 6,600-acre Copper Fire swept through San Francisquito Canyon on June 5, 2002. 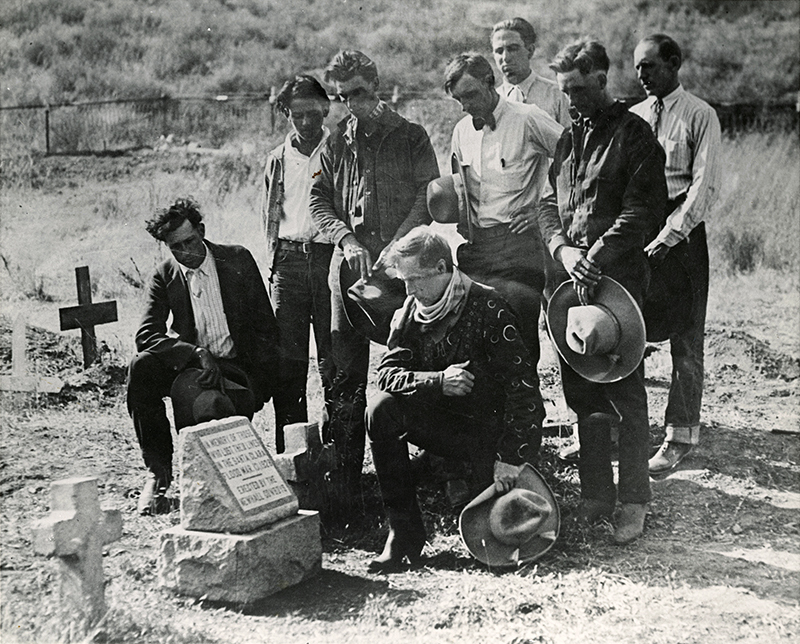 Granite and other stone grave markers were relatively unscathed, but about a dozen wooden crosses were lost. Down canyon, the Harry Carey Ranch buildings narrowly escaped the flames. The fire reportedly claimed eight structures in the canyon including one home. The brush fire started near Copper Hill Drive — thus the name — when a grinder in a welding operation sparked at the construction site of the Tesoro Del Valle subdivision. lw060502a: 9600 dpi jpeg from smaller jpeg from digital image by Leon Worden.